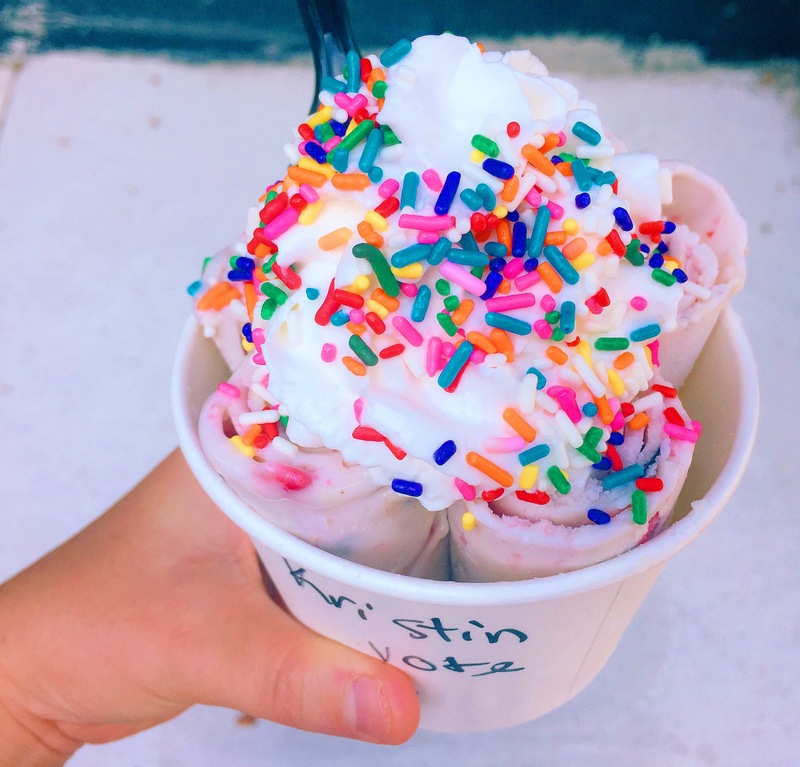 It seems like recently the craze of rolled Ice Cream has taken the foodie world by storm. I admit that I have spent countless hours watching instagrams videos from food accounts showing the process. The idea of taking milk or liquid version of yogurt and placing it on a cold metal slab to only have it come out in ice cream form is pretty intriguing. Luckily Philadelphia has its own Rolled Ice Cream joint – Sweet Charlies. Sweet Charlies has become so popular with my fellow Philadelphians that typically a line always wraps around the block to get a taste of their famous rolls. I waited patiently and when it was my turn I was overwhelmed with options. Finally deciding on a fruitier choice – with blueberry, strawberry and coconut I watched them roll it into little straws in front of me. It was amazing ! And the taste, one of the creamiest ice creams I’ve ever had. Definitely worth the hype !